State Department announces it will redirect $230 million in frozen funding away from Syria. 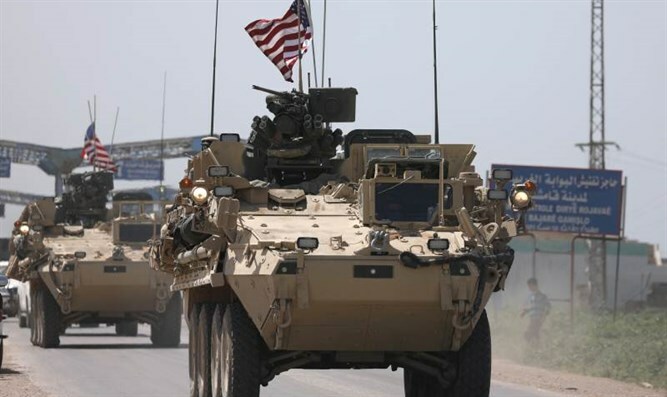 The U.S. State Department on Friday announced it will redirect $230 million in frozen funding away from Syria, though it emphasized that the move did not signal a retreat by Washington from the conflict, Reuters reported. The department said it had raised $300 million from coalition partners for recovery efforts in areas retaken from Islamic State jihadists in the northeast of the country and the U.S. funds would be used to support other foreign policy priorities. President Donald Trump froze the funds in March while his administration reassessed Washington’s role in the Syrian conflict, saying he wanted the U.S. to leave Syria. U.S. officials insisted on Friday that Washington’s efforts would be focused on defeating Islamic State in Syria. It named former ambassador to Iraq, Jim Jeffrey, to a new position as U.S. Secretary of State Mike Pompeo’s adviser on Syria. Jeffrey would also oversee talks on a political transition in Syria, including the future of Russia and Iran-backed President Bashar Al-Assad. Acting U.S. Assistant Secretary David Satterfield said there would be no international funding for Syria’s reconstruction until there was a “credible and irreversible” political process underway to end the Syrian conflict. “There is not going to be by international agreement reconstruction assistance to Syria unless the UN - not Moscow, not Washington, not any other capital - validates that a credible and irreversible political process is underway,” Satterfield told a conference call, according to Reuters.